In today’s baseball game, the name of the game is velocity. At youth summer tournaments, radar guns reign supreme, and recruiters scout those who can throw the hardest. While pitching speed can help a pitcher dominate a lineup, the effects of throwing hard over and over again can cause serious damage to our youth athletes. Another issue amongst youth baseball players is overuse. Between little league, summer teams, camps, and club teams, some players are competing throughout the calendar year. The result of this has led to an uptick in Tommy John procedures (UCL reconstruction), as well as “Little Leaguer” shoulder and elbow injuries. The one factor that has continued to be shown to increase youth pitching injuries more than anything else has been overuse. Simply put, injured youth baseball pitchers have been shown to throw more pitches per game, more innings per year, and more months out of the year. 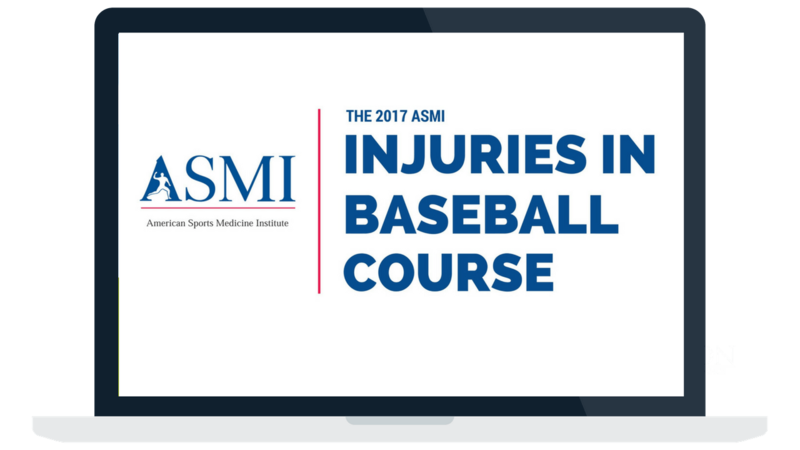 To combat this epidemic of overuse during the velocity era, Pitch Smart, a combined Major League Baseball and USA Baseball initiative, provides guidelines for pitching volume, resources on youth injuries, and risk factors for becoming hurt. The youth baseball pitch count guidelines established for workload are different for ages 7-22 and provide information regarding required rest. For instance, a 10-year old would have a daily maximum of 75 pitches, with only 21-35 pitches that could be thrown with 1 day of rest. This is different than for a 17-year old who, according to these guidelines can throw a maximum of 105 pitches in a game, with 1 day of rest allowing for 31-45 pitches. These pitching guidelines allow for youth athletes of varying ages different workloads that correlate better with their respective skeletal maturity and physiological limits of both their static (bones, ligaments) and dynamic stabilizers (muscles). These guidelines, if followed by coaches and parents alike, can not only allow players to be more fresh and effective when they play, but keep them healthier in a systematic and organized way. The guidelines for workload limits can be seen below for the various age groups. Not only has overuse shown the highest correlation to youth pitching injuries, reported that youth pitchers who participated in the Little League World Series whose pitch counts exceeded the recommendations, resulted in significantly greater future injury than those who followed the guidelines established. By protecting youth baseball arms and allowing for important periods of rest, these youth athletes can participate in multiple sports and reduce the amount of overhead workload sustained. The guidelines are also critical because they combine these pitch count recommendations with suggestions for each of the age groups that include information on certain pitches, months per year playing baseball, as well as what the priorities of that age group should be. For instance, 9-year olds should focus on physical fitness and fun, learning baseball rules, and the general concept of teamwork, while 16-year olds should prioritize developing new pitchers and mastering their current ones. The new Pitch Smart guidelines organized by MLB and USA Baseball include pitch count recommendations and suggestions per age groups that can provide useful information that can lead to the improved health of youth baseball arms. Pitch counts can act as a hard stop for workload for baseball players in a pitching outing of any age based on skeletal maturity development as well as the physiological limits of that particular athlete. These recommendations can be helpful for youth athletes, but they must be enforced by both coaches and parents to ensure that they are being fully met. To learn more and check out the new Pitch Smart guidelines for yourself, visit http://m.mlb.com/pitchsmart/pitching-guidelines/.